Since seeing this 'adopted Goose' in 2009, I have been contacted by Neil Matthews from Dorchester who has a further update to this intriguing story. Neil has very kindly agreed to add his images to my gallery as a follow-up for others to view/debate. 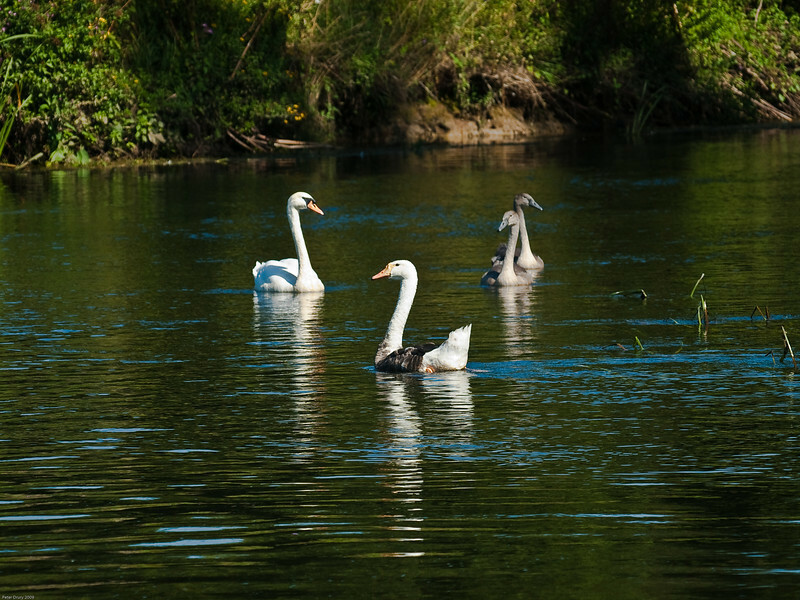 My original images were taken on the River Piddle and his were close by on the River Frome and this time in the company of 1 adult Mute Swan and 2 Cygnets. 19 Aug 2009. Mute swan (Cygnus alor) + Gosling or Cygnet?